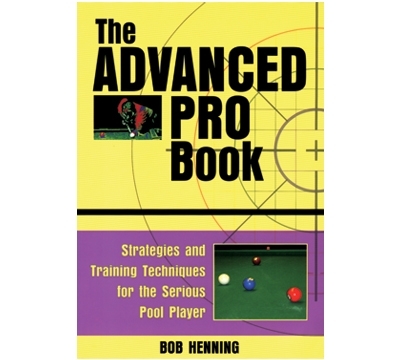 PB50 – Henning's "The Advanced Pro Book"
Hone your technique to a master's edge by incorporating your individual characteristics and natural coordination. Increase your consistency by expanding your understanding of personal alignment, stroke and rhythm. Master the shot routine and your command of visualization, flow and timing. Discover what is natural for you! Train to recognize and execute the advanced tools of shot making, position play, defensive play, banks and kicks. Learn how to get your best game out when you need it! Learn how to stay in the moment and keep your focus under pressure. Discover advanced strategies for managing the front, mid and end game. Learn how to recognize and establish control.